I'm getting a head start on some of my Christmas crafts this year. 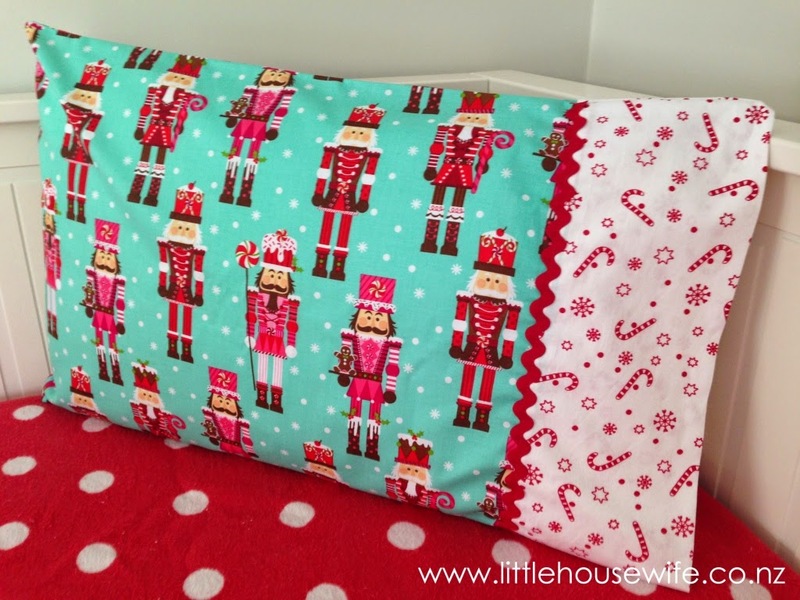 Something I've wanted to make for a few years (and have finally got round to) are Christmas pillowcases for my girls. They were super easy and I'm really happy with how they turned out. Here are some simple instructions for you to make your own. You'll need two pieces of fabric - one for the header and one for the body. 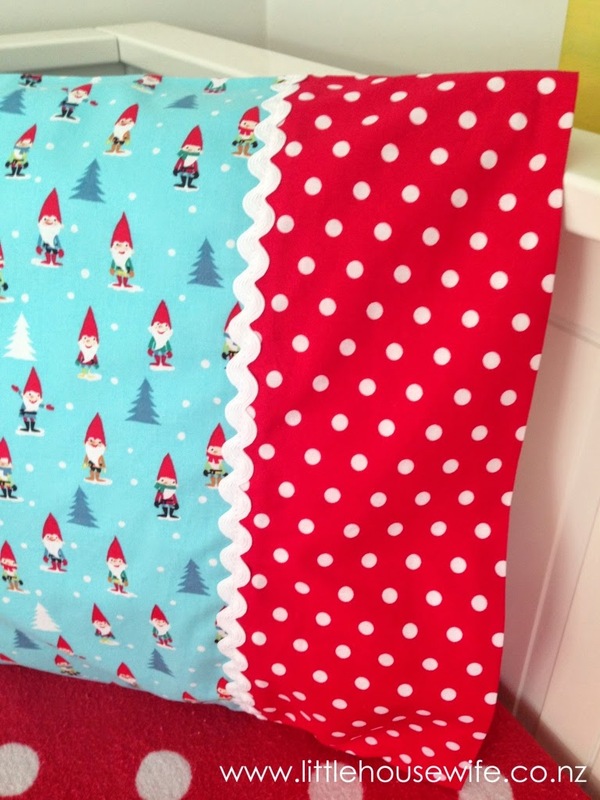 The fabrics I used for the body of the pillowcase were 112cm wide so it actually worked out most cost effective to make two pillowcases at once. I used the whole width of the fabric (being 112cm), cut the length at 87cm tall, trimmed off the selvage and then cut the fabric in half vertically so I had two pillowcase bodies cut. 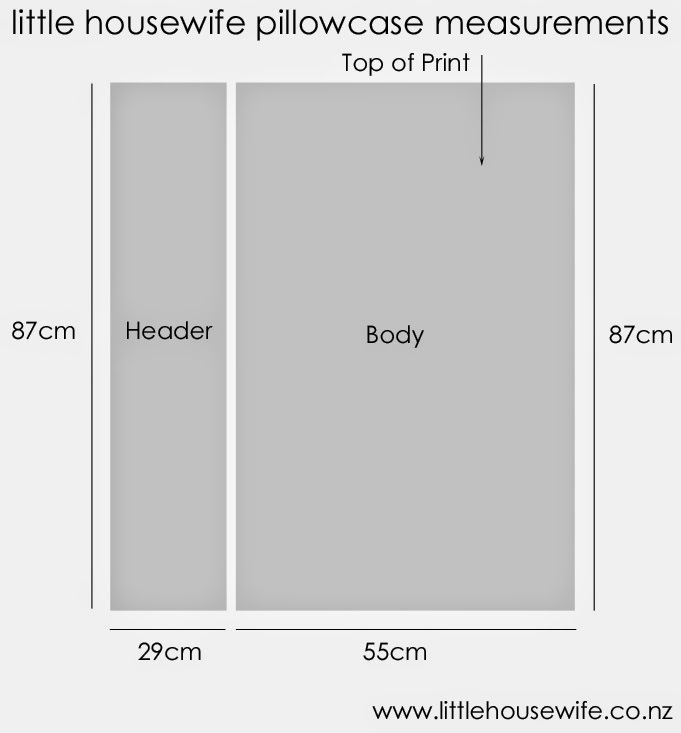 The diagram below shows the fabric measurements needed to make one pillowcase. You may need to adjust the measurements slightly to fit your pillow. 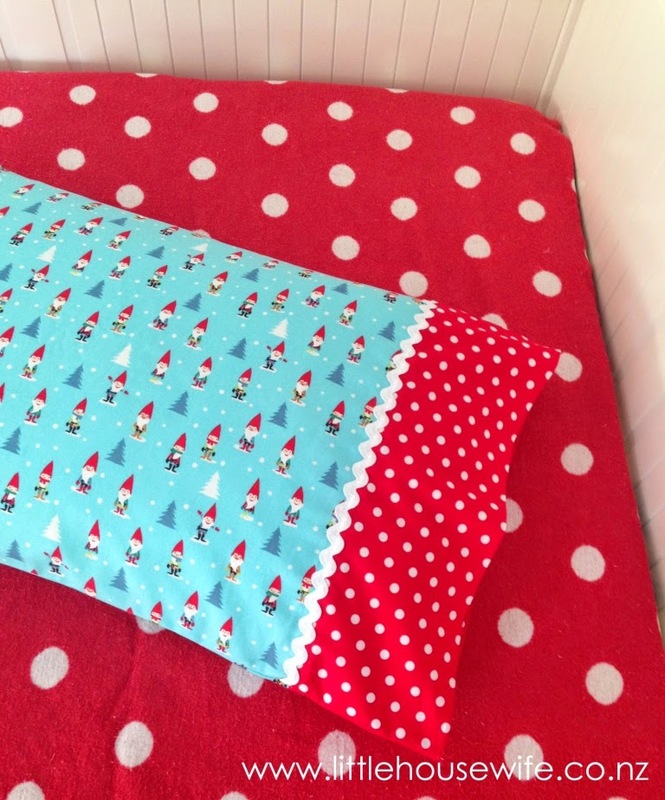 Next, I sewed an "easy tube" header, which is also sometimes called a "hot dog pillowcase". It's a really easy method which gives you a perfect external and internal header with concealed seams. 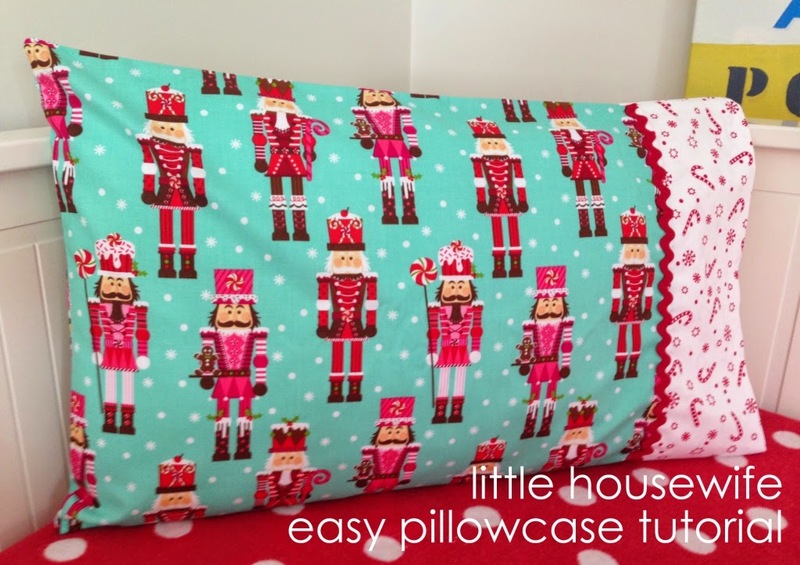 So, get the fabric for the header and body of your pillowcase. 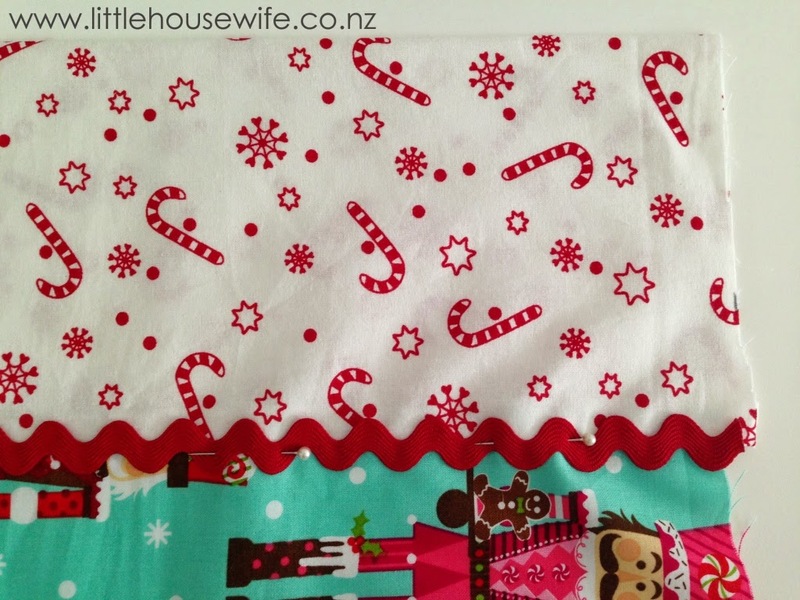 Lay your header fabric down long ways and lay your body fabric over the top. Stop here and have a think about a which side you want your header to face. 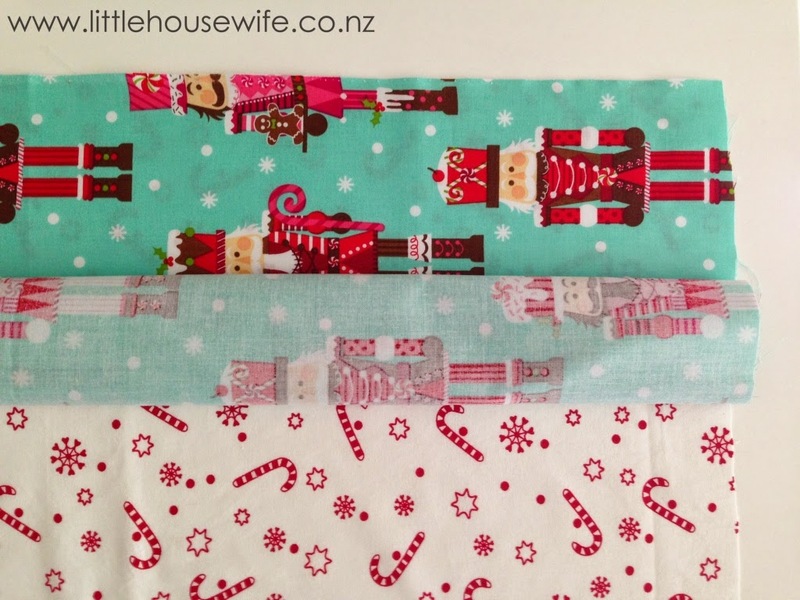 If you are using a plain or printed fabric that has no direction then this won't matter. 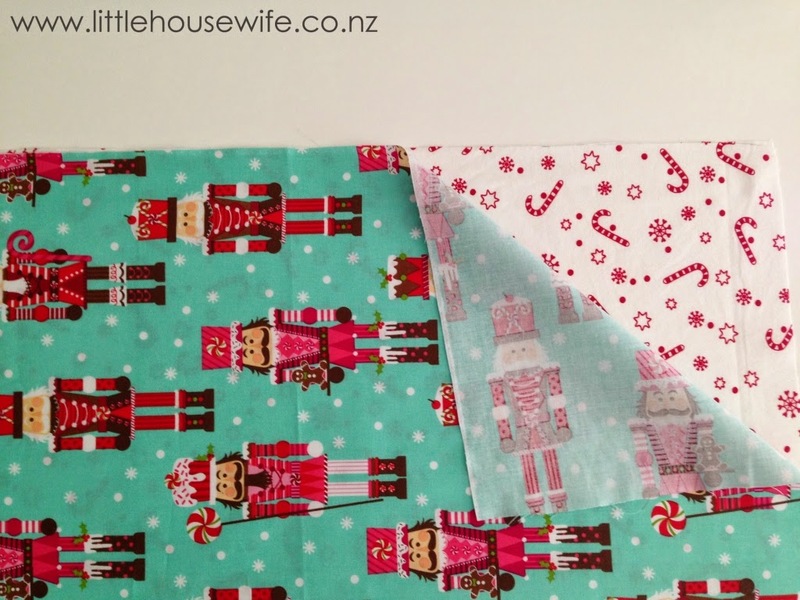 However, if you are using a fabric (like the Nutcracker one above that has a definite direction) then these little guides will come in handy. Roll the body fabric upwards (making a tube), stopping around 10cm before the top. Bring the other side of the header fabric up and over the roll of the body fabric and pin all three pieces of fabric together. Be sure you haven't got the roll of the body fabric pinned in there too. Straight stitch all three layers of fabric together. Pull the "hot dog" or roll of body fabric out and turn the header inside out so it's facing out the right way. 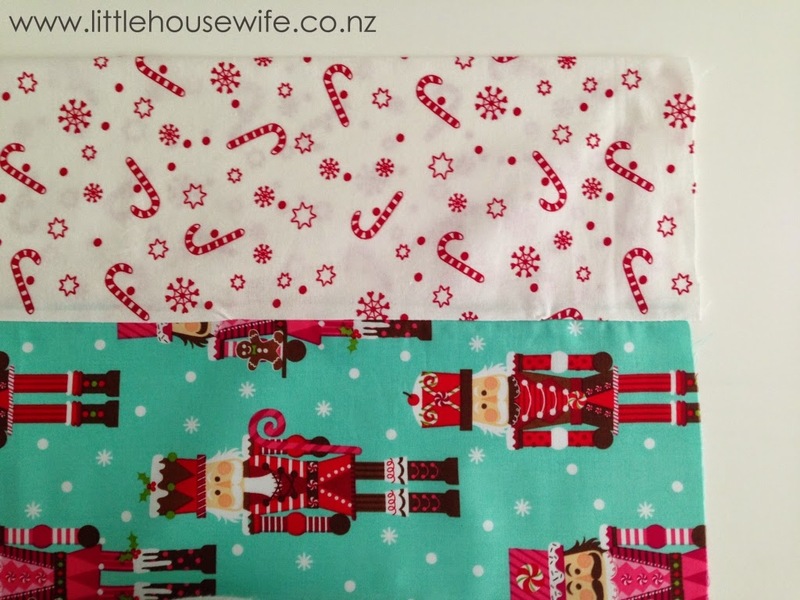 And here it is - the perfect double sided pillowcase header with concealed seams. 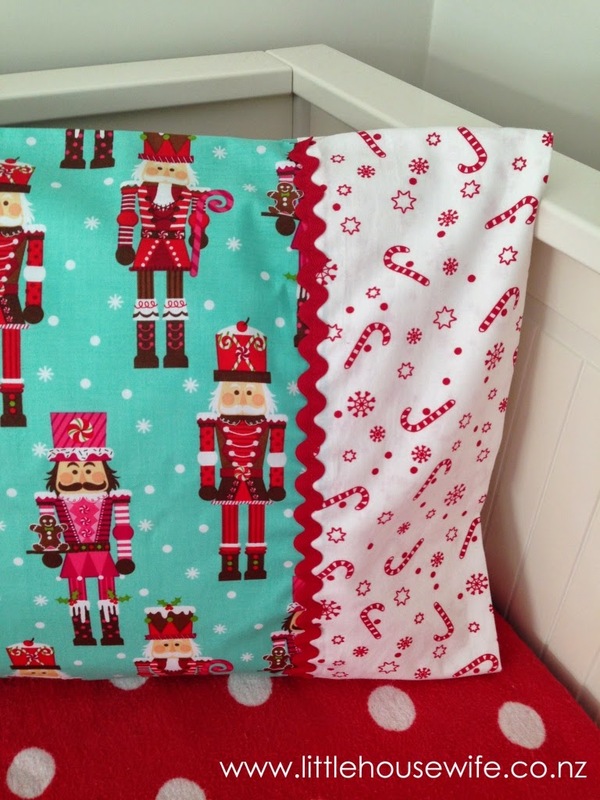 Now is the time to sew on any trims if you want to decorate your pillowcase. I love pom pom trims and ric rac. I burnt the ends of the ric rac with a lighter to seal the ends and prevent fraying. Then simply fold the fabric in half so the right sides are facing each other and sew one long side and one short side together. 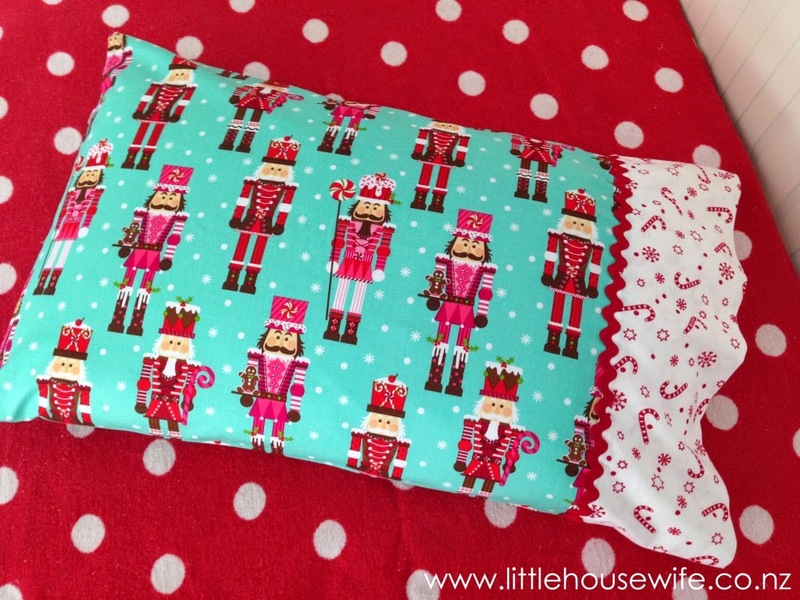 Then turn in the right way and voila - you have an easy peezy pillowcase. 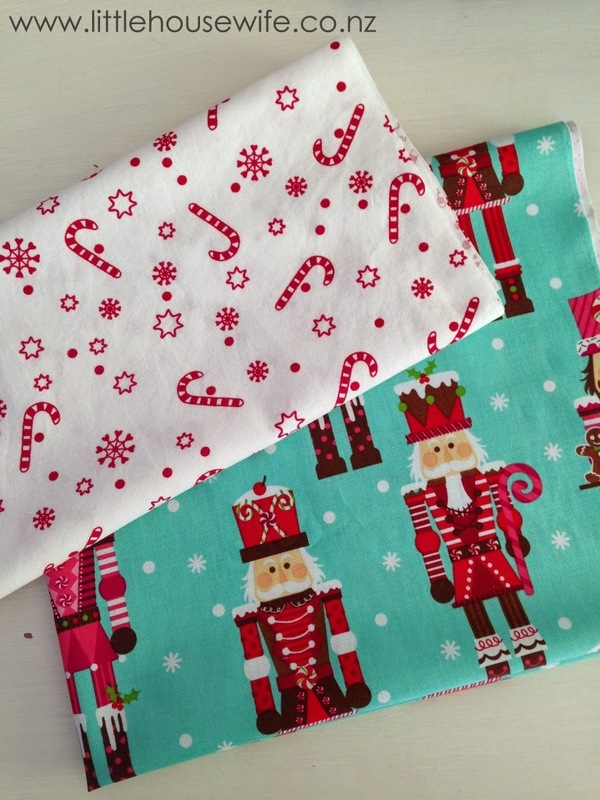 Here are two Christmas designs that I made for my girls for this Christmas. 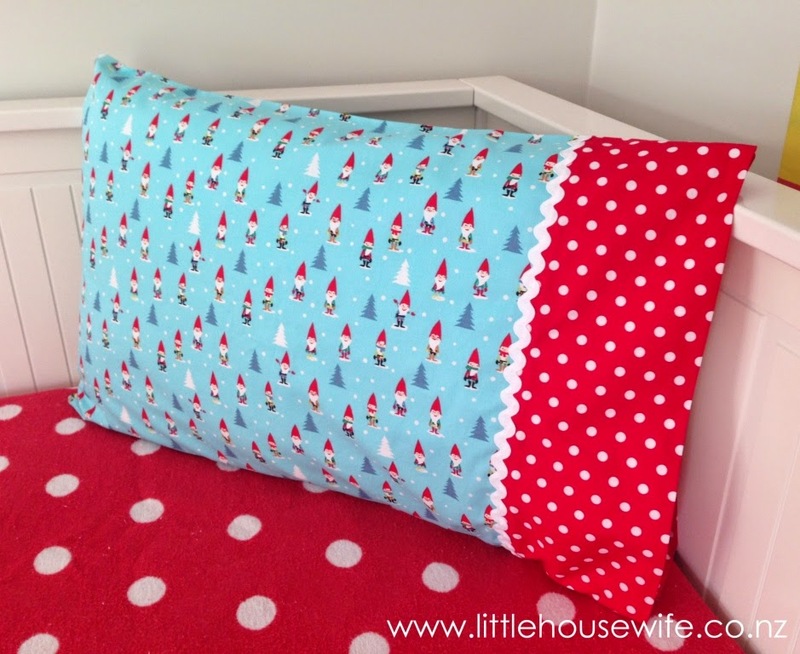 Little gnomes with a red polka dot header and white ric rac... 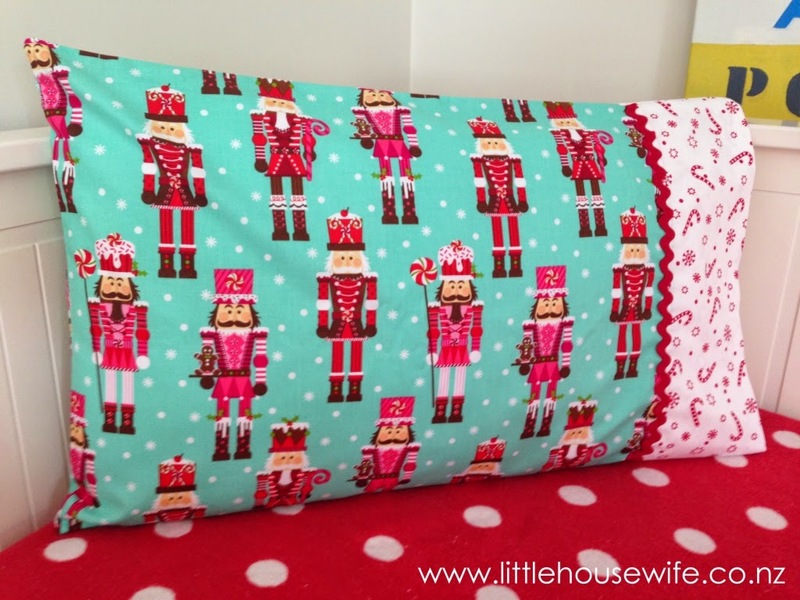 I think I might sneak in to the girls bedrooms the night before our annual North Pole Breakfast and change the girls pillowcases to this design. Those sneaky elves! Gorgeous and fun! Thanks for sharing Penny! I absolutely adore the fabric! 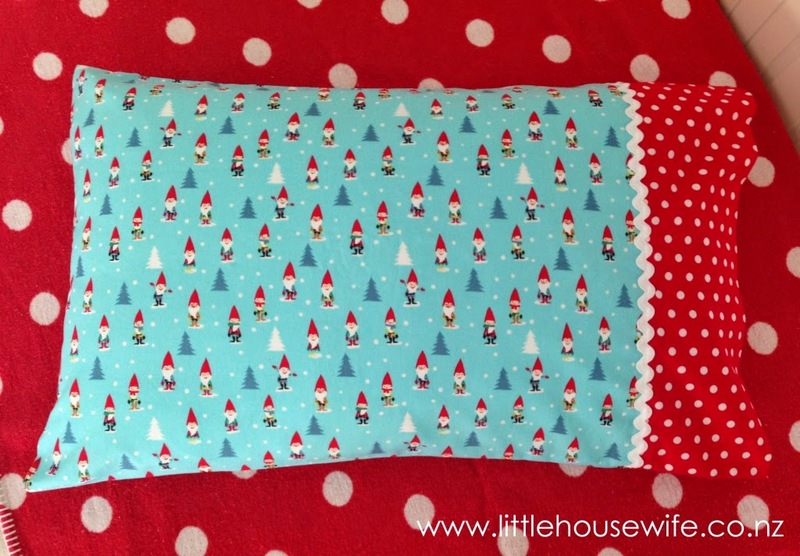 This is great, made my first pillowcase today following your steps. They look amazing!